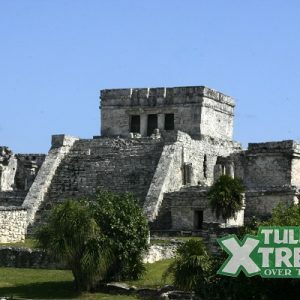 If you already staying in Tulum then a visit to the ruins is just not enough! 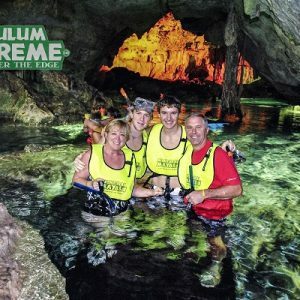 It’s time to take fun to a whole new level with this adventure combo tour featuring Tulum Ruins, Zip lines, Rappel, Cenote and whole lot more. 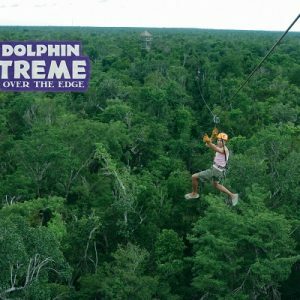 On this high flying tour you will start by being picked up and brought to a private eco reserve just north of Tulum in the jungle. 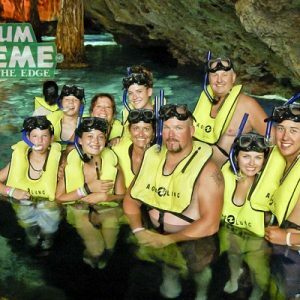 Once you arrive on site the activities will begin. 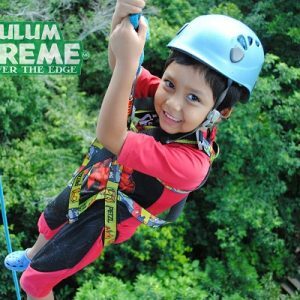 It is here where your guide will introduce you to the giant 3 circuit zip line course where you will fly well over the trees with an amazing view. 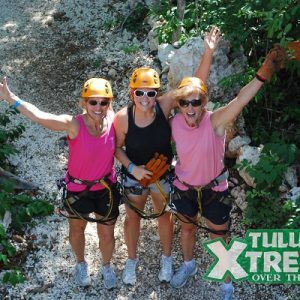 Under full harness and safety gear you will soar like a bird across the tree tops for an experience you will never forget! 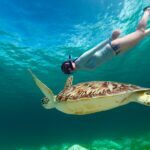 Once you reach the ground you won’t stay there for long. 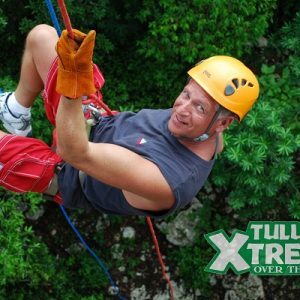 The next part of this tour will bring you right back up again to enjoy a 70 ft. rappel from a raised platform in the mayan jungle. 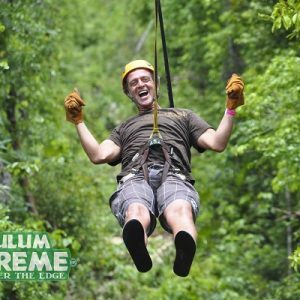 All this high flying excitement will have you coming out feeling like a brand new person. 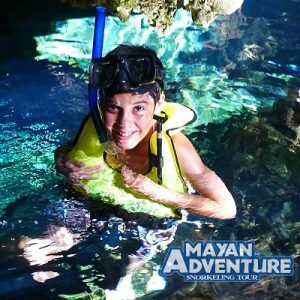 After you descend back to the earth your guide will bring you to one of the most magical cavern cenotes in the Riviera Maya. 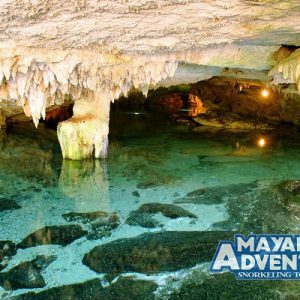 This private cenote is full of massive stalactites and beauty where you will get to snorkel and cool off in the crystal clear water underground. 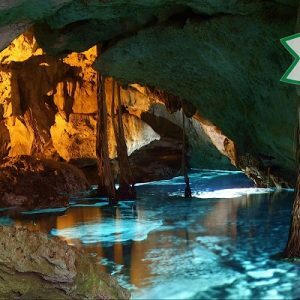 If you have never seen a cavern cenote before, this is definitely the one you should start with. 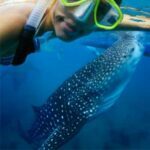 It’s beauty will leave you breathless. 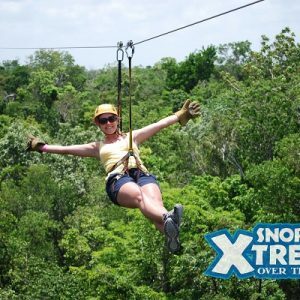 By now you will have worked up an appetite, so you will be brought to enjoy a delicious buffet lunch in a mosquito free gazebo in the middle of the jungle. 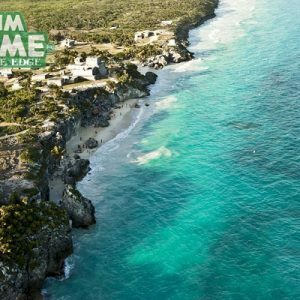 Here you will try tasty dishes from the region, and experience the sounds of nature all around you as you prepare for your guided trip to Tulum. 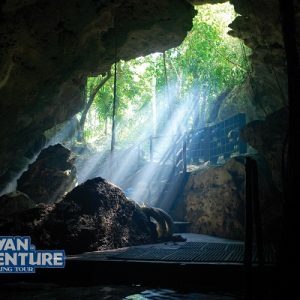 After lunch you will join your guide back in the van and head off to the Tulum Ruins. 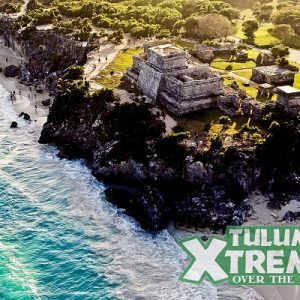 At Tulum you will discover a Mayan Paradise with Pyramids and an Observatory located at the top of a cliff looking out into the Sea. 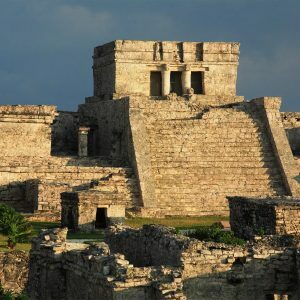 Your guide will fill you in on all the deep history of the site, then you will have some free time of your own. 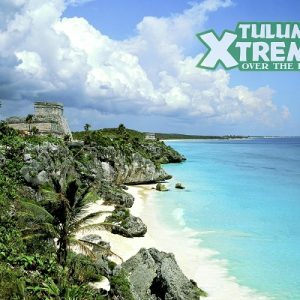 If you want to see Tulum but also have a day full of adventure this tour is for you! 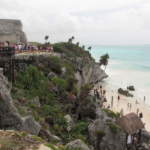 Hotel pick up approximately 8:00 – 8:30 a.m., Tour returns between 3:30 – 4:00 p.m.